Mott Macdonald – US$21M London Metropolitan Area contract for the design of approximately 25km of new high speed rail line from the redeveloped Euston station through North-West London. They will also work on the link to HS1 and a new 14 platform interchange station at Old Oak Common. Atkins – US$21.1M Country South contract covering the design of approximately 91km of the route through Buckinghamshire, Northamptonshire and Oxfordshire, which includes the Colne Valley viaduct and the Chilterns tunnelling. Capita Symonds Ineco JV – US$17.6M Country North contract covering approximately 78km of high speed rail through Warwickshire and Staffordshire, and the connection to the West Coast Main Line. Arup – US$18.1M West Midland Metropolitan Area design contract for approximately 22km of the route, Curzon Street Station complex; Birmingham Interchange Station; Washwood Heath Rolling Stock Maintenance Depot; and a people mover from the Interchange station to the NEC/Airport. 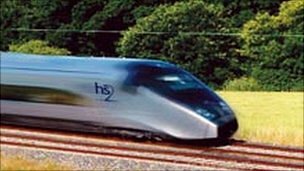 All HS2 Ltd contracts are awarded following public body procurement rules based on the principles of equal treatment, transparency and nondiscrimination.